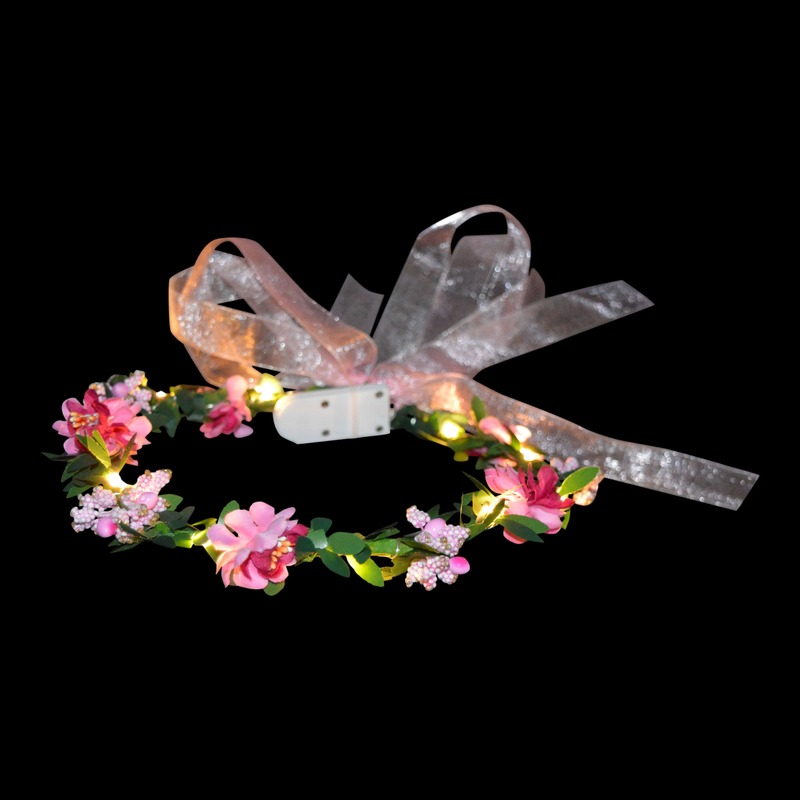 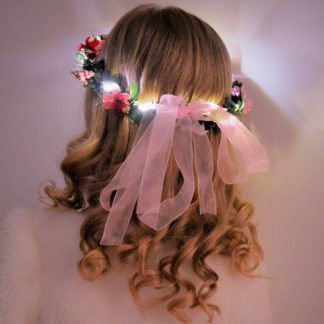 Be like no other bride or bridesmaid with a stunning faux flower garland crown with added glow to shine long after the sun goes down. 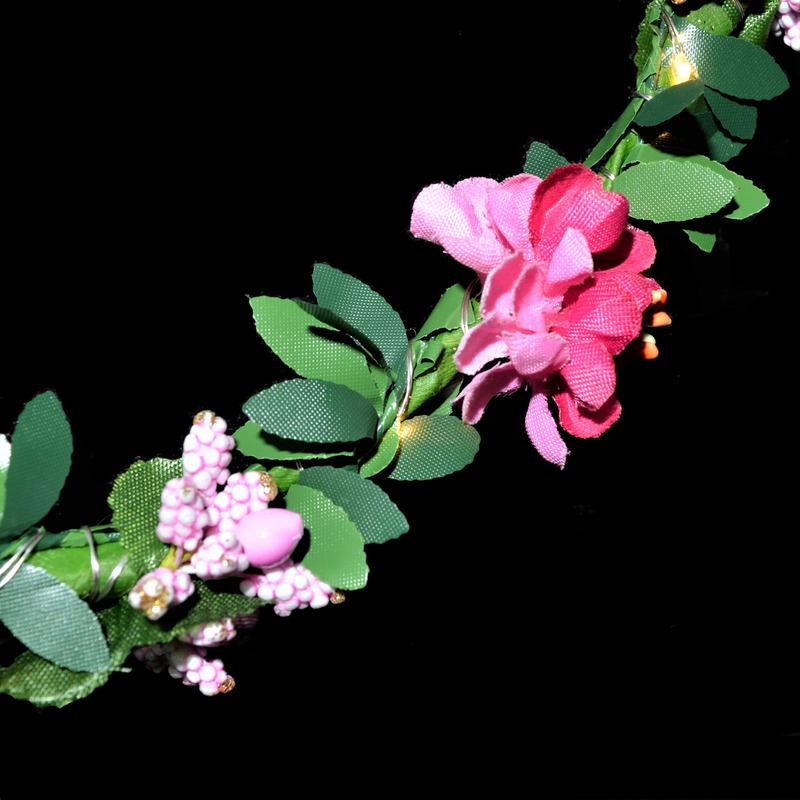 We are truly feeling the love with our stunning Bridal Crown flower head garlands. 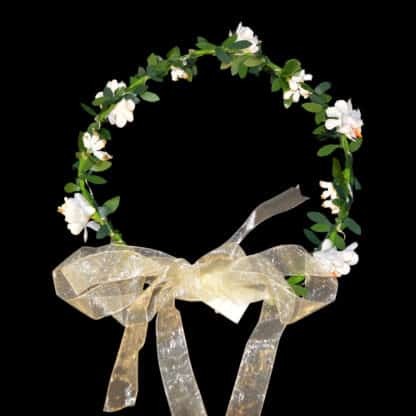 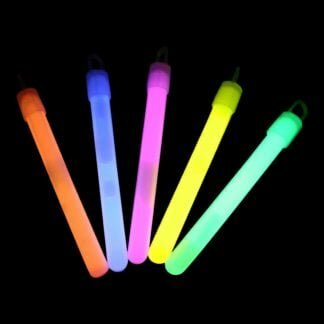 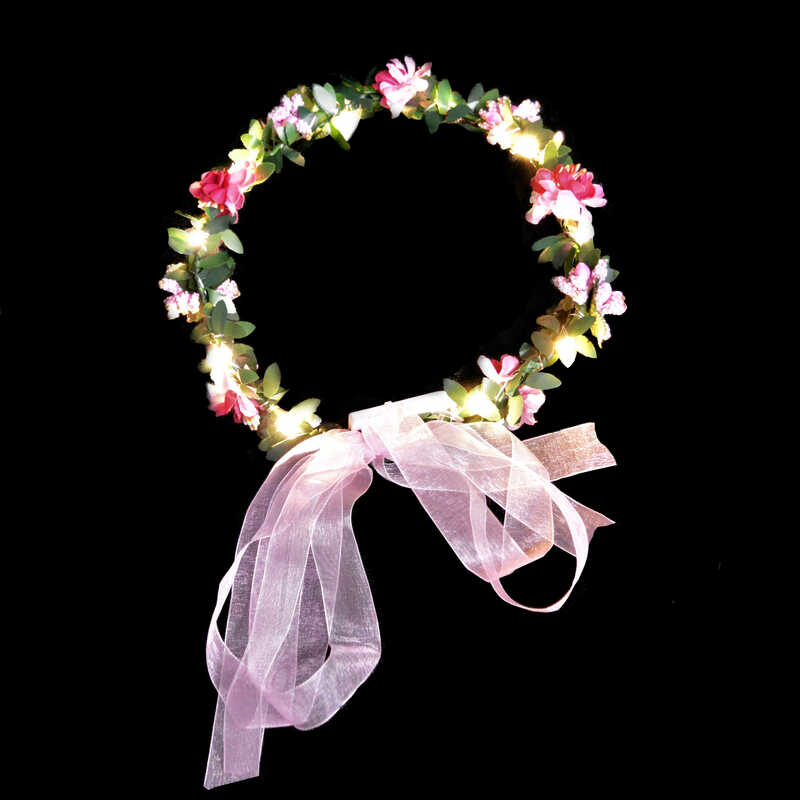 These uniquely illuminating coronets make such a beautiful headdress for bridesmaids, flower girls, and even the bride; complimenting any beautiful gown and fit for the perfect princess. 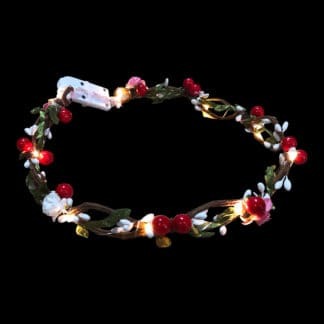 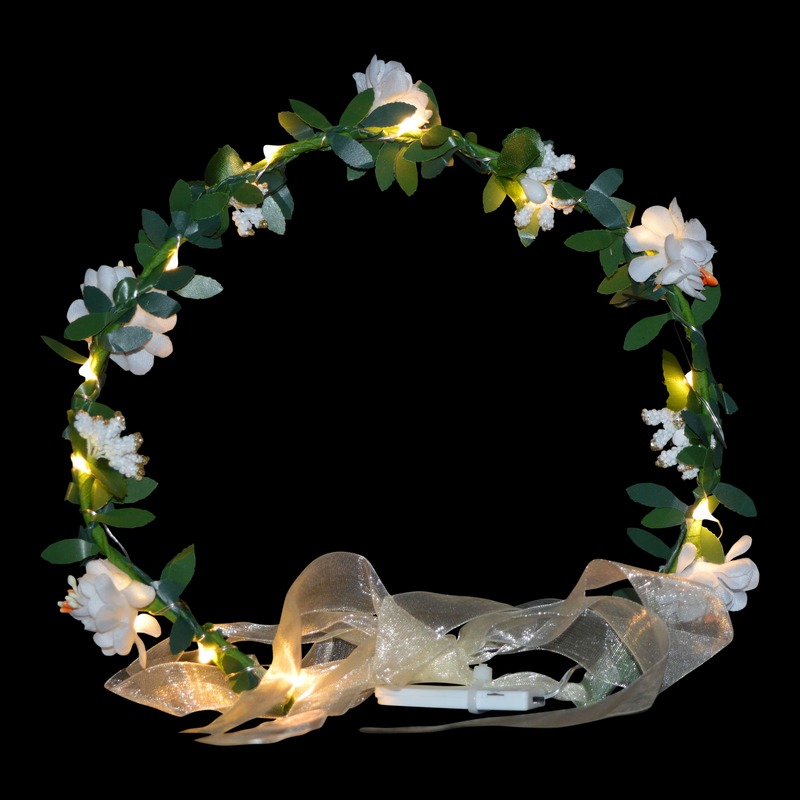 Each crown is crafted from a single green garland abundant with little green leaves. 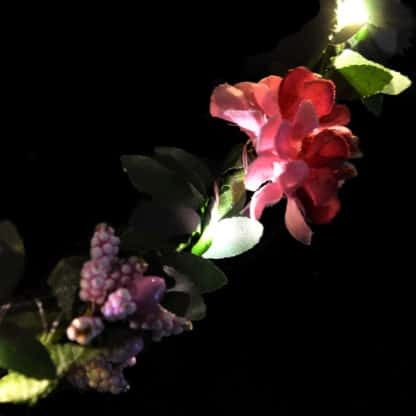 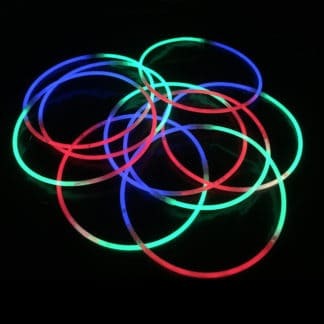 They are generously interspersed with artificial open blossoms alongside riceflower and hypericum style buds, and interlaced with the fine micro wire LED light chain. 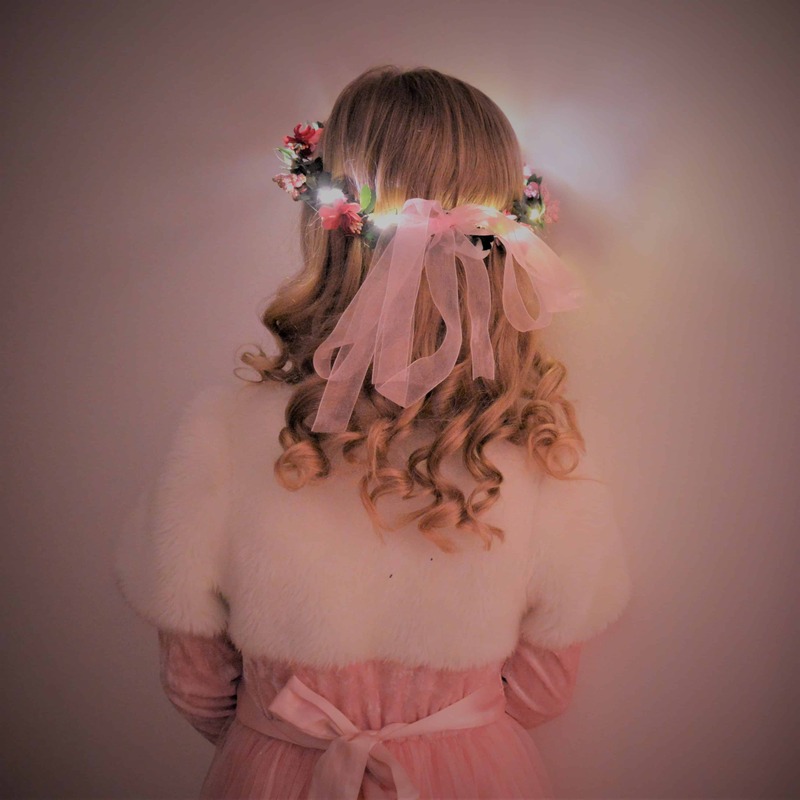 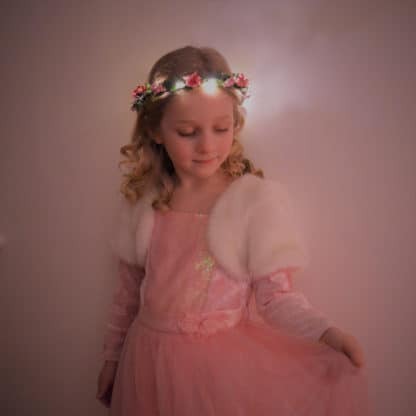 The buds are highlighted with a light dusting of gold glitter to enhance the look, and each crown comes complete with a shimmering organza bow to conceal the battery compartment. 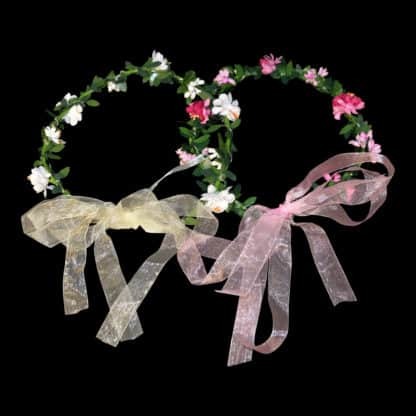 Available in 2 shades: Varying pink toned flowers with a pink bow, or white flowers with an ivory bow.